Workers drill a hole into the ground in advance of installing geothermal piping. Geothermal technology uses ambient ground temperatures to heat and cool buildings. 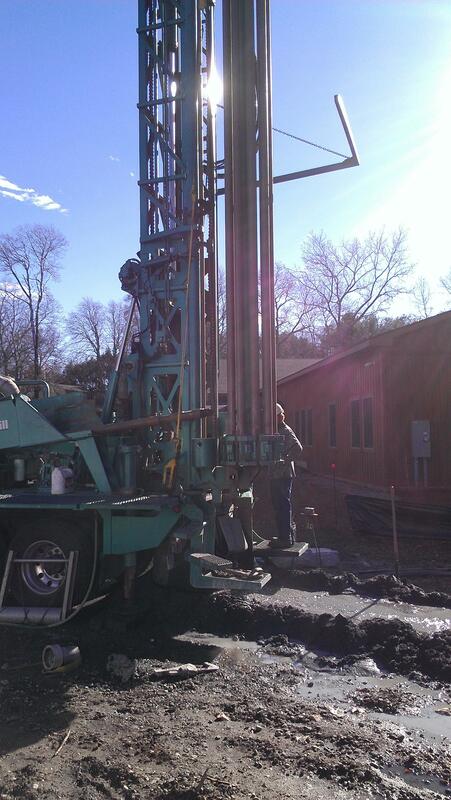 Workers bore a hole into the ground in South Windham. That hole will be filled with piping for use in a geothermal system at Horizons, a camp for children and adults with disabilities. One of those projects is in South Windham, at Horizons, a camp for developmentally disabled children and adults. I met up with Guy Wanegar, President of the Connecticut Geothermal Association, as a crew dug a hole for geothermal piping outside a new dining hall. The ground was muddy, and gallons of water spewed up as the drill worked its way vertically through hundreds of feet of dirt and bedrock. Geothermal is a form a solar energy. 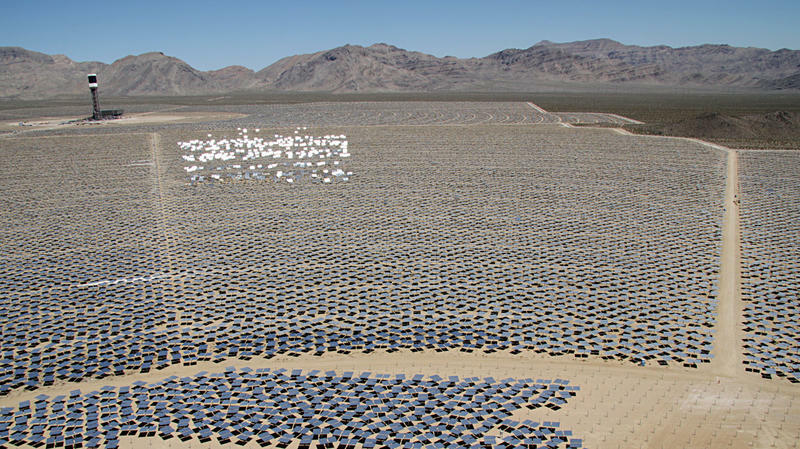 Sun hits the earth, and about half of that energy gets stored underground as heat. Wanegar said Connecticut is "perfect" for geothermal drilling. Dig down six feet, and you'll find the soil remains a near-constant 50 degrees year-round. Geothermal capitalizes on that, using a loop of underground piping to tap into that stable temperature zone, and send that energy to a heat pump. "That heat pump can take the 50 degree soil temperature, the loop temperature that we're getting, and boost it to heat or cool the building," Wanegar said. During the winter, hotter air from the ground is pumped into the building to warm it up. During the summer, hot air gets pumped back into the ground. "So we're kind of recharging the earth as well," Wanegar added. Over the years, Wanegar said technicians have refined the ways geothermal systems are installed, contributing to a rise in their popularity. And tax credits have helped too. Until 2016, there are a number of federal and state incentives for installing a geothermal unit in Connecticut. It’s not that unusual to see Bald eagles in parts of the Northeast, but Golden eagles are rare here. In all there are only one to two thousand in eastern North America. As part of a collaboration of Northeast stations, WNPR’s Nancy Cohen reports from a windswept hilltop in Connecticut where a rescued Golden eagle was released into the wild. One day this winter, farmer Brian Hawks was snowmobiling in Amenia, NY, when he saw something on the side of the trail. It was a Golden eagle with an injured foot.